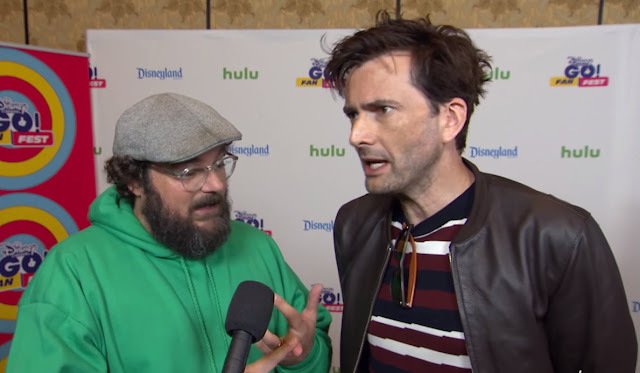 David Tennant and other cast members from DuckTales took part in Disney Channel's GO! Fan Fest yesterday along with the stars of some of the network's other hit show. During the course of the day, the cast took time to have a chat to pop culture website Shine On Media. David took part in a table read of an unseen DuckTales adventure along with Danny Pudi, Ben Schwartz, Bobby Moynihan, Kate Micucci and Toks Olagundoye as part of the Fan Fest - you can watch that here.